Moscow Flower Show has been a thing since 2012. I came to the first one as chair of the Judging panel and have done so every year since then. This year, however, was the first time that I had been invited to design a garden for the show. 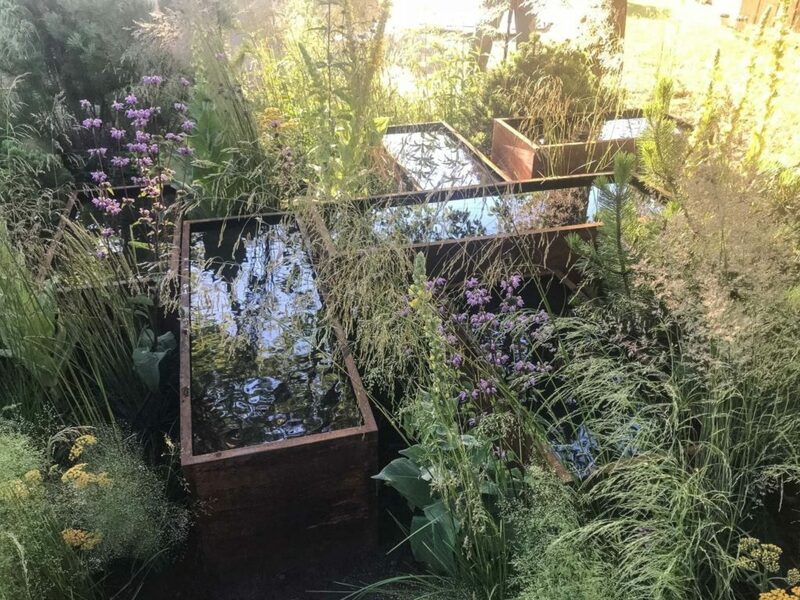 It is a slightly different process to doing an RHS Show in that everything is put together at the last minute – none of that careful planning nonsense. 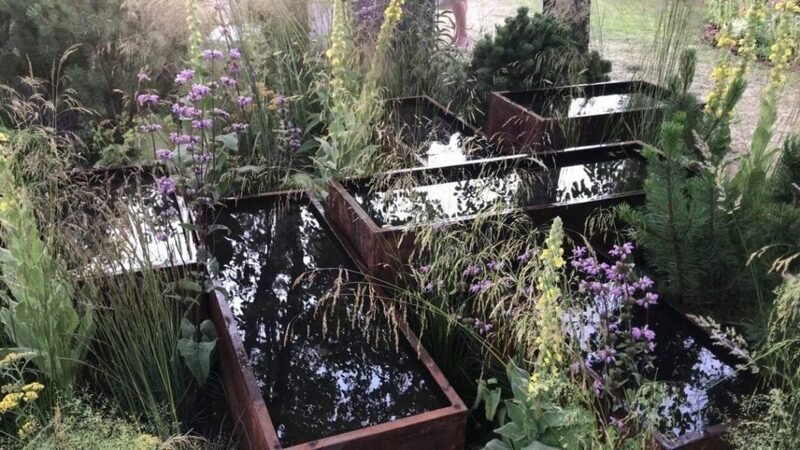 I decided to do a variation on the sound garden I did at Chelsea 2017 but using six smaller troughs of water and a different style of planting. It is difficult to know exactly what plants are available so we did most of the planting design by text message. Jamie Butterworth went out as an advance guard and spent a couple of days scuttling around finding plants – I had sent him a couple of examples of the general feel I was after – and put it together very beautifully. It was a sort of wavy meadow. Meantime my genius sound artists (Rossana, Pår and Seb from Elephonic Sound) also went out early where they were lodged in a small cupboard (the show coincided with the World Cup so hotel rooms were at a premium) and proceeded to work wonders with speakers and amplifiers. My thanks also to Jonas Eggers of Greenhance who helped to coordinate and build the garden. The point of the garden is to create something magical and make people stop and wonder – it seemed to do precisely that. I then swanned out at the last minute and took the glory.